Two games remain in the regular season for the Montreal Canadiens and Washington Capitals. 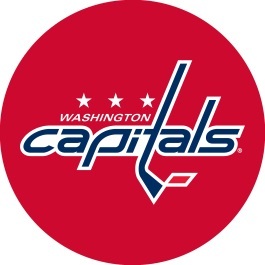 The Washington Capitals have a playoff spot secured and are attempting to clinch top spot in the Metropolitan Division. They have a three-point edge over the New York Islanders. They will face them in the final game of the season. The Montreal Canadiens are fighting to stay alive in the Eastern Conference playoff race. TV: 7 p.m. ET, NBC Sports Network; TSN2, RDS (Montreal), NBCS Washington; LINE: Capitals -138 OU: 6 Under -102. If you excuse losses to the Blue Jackets and Hurricanes, the Canadiens have been playing lights-out as of late. They’re 6-1-1 in their last eight games. Those two losses came to the teams they needed to beat the most. As a result, they continue to be in a must-win mentality. They will need some help along the way if they hope to play playoff hockey. Things are less dire for the Caps. They’re sitting pretty atop their division and have won four of their last five games. That includes a tremendous win against the league-leading Tampa Bay Lightning. If recent play is any indication, the Caps have a real opportunity to repeat as Stanley Cup Champions in 2019. A victory over the Capitals Thursday night could put the Canadiens in position to reach the Stanley Cup playoffs. Montreal is in a three-team scrimmage with Carolina and Columbus for the Eastern Conference wild card spots. The Canadiens would lose the first tiebreaker with the Blue Jackets. Montreal finish the regular season at home against Toronto on Saturday. Carolina (at Philadelphia) and Columbus (at Ottawa) are playing at the same time. There will be some scoreboard watching. Washington can clinch its fourth straight Metropolitan Division title with a victory thanks to leading the Islanders by three points. The Canadiens are 43-29-8 on the season. Max Domi has a team-high 71 points, and scored his 28th goal of the season Tuesday. He has one point in each of the last four games. Brendan Gallagher lead the club with 33 goals, and hasn’t scored in five games. He has been kept off the scoresheet in the last three contests. This was after recording two goals and three assists in the previous three games. Carey Price (35-23-6, 2.50 goals-against average, .917 save percentage) is expected to make his 13th straight start Thursday. The net-minder has allowed two or fewer goals in nine of his last 11 outings. Washington is 4-for-29 on the power play in its last 10 games while Montreal wasn’t short-handed in its past two contests. The Capitals are 47-258-8 on the season. Alex Ovechkin has already recorded his eighth 50-goal season. He has a league-high 51, and his 658 goals are 13th in NHL history. Ovechkin is 236 shy of Wayne Gretzky for all-time supremacy. Ovechkin leads the club with 89 points, followed by Backstrom with 74 points. He’s scored three of his 22 goals in the last two games. Evgeny Kuznetsov has seven of his 72 points in the last four contests. Ovechkin’s 18 power-play goals this season trail only Tampa Bay’s Brayden Point (20) and Steven Stamkos (19). Get a 50% Signup Bonus up to $1,000 at BetOnline Sportsbook!! !